41037 Stephanie’s Beach House Found! If you’re still doing some Christmas shopping and are having a hard time finding a good gift for that LEGO Friends maniac in your life, keep your eyes peeled for some of the 2014 sets. They sometimes trickle out onto store shelves early depending on when they get their shipments. 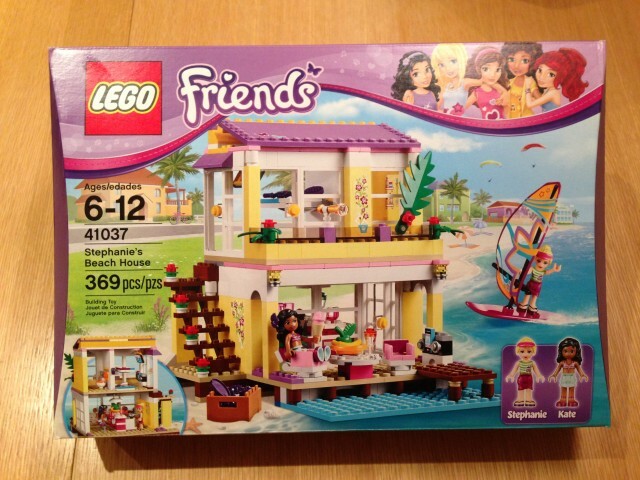 41037 Stephanie’s Beach House is new for 2014 and was found at a Toys’R’Us. We went ahead and purchased it and will be doing a review of the set real soon. If you do venture out to a Toys’R’Us store in hopes of finding some new sets, please be aware of the “TRU tax”. Toys’R’Us stores typically add an additional markup on top of MSRP, and this markup increases the closer it gets to Christmas. We’ve reported before on new Friends sets for January 2014 so take a look at the images in that article to know what to look out for. This entry was posted in News and tagged 41037 Stephanie's Beach House by memphis. Bookmark the permalink.